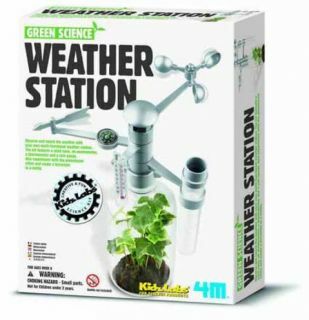 Build a multi-functional weather station to observe and record weather. It features a wind vane and anemometer (instrument to measure the speed of wind), a thermometer and a rain gauge. Included instructions. 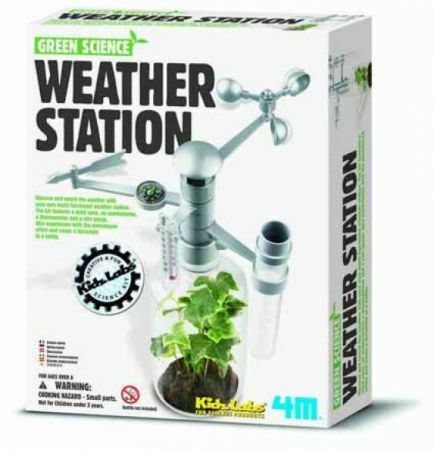 Weather station when assembled span 22cm x 12cm. Option to screw a plastic bottle to the casing to grow plant inside the bottle.